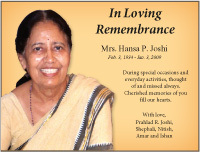 Singers include Manisha Jambotkar, Srikant Narayan, P. Ganesh, Priyanka Mitra and Jolly Mukherjee. Legendary saxophone player Raj Sodha will lend his soulful renditions to the mix. The orchestra will consist of eight musicians. 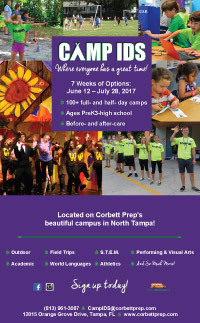 The group is on a U.S. tour for two months and will also perform May 20 in Orlando at Lyman High School. 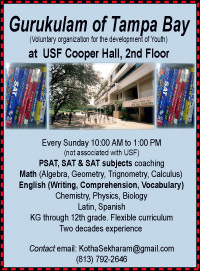 The 6 p.m. May 21 concert will be in the Ferguson Hall, Straz Center for the Performing Arts, 1010 N. MacInnes Place, Tampa. Tickets start at $35. 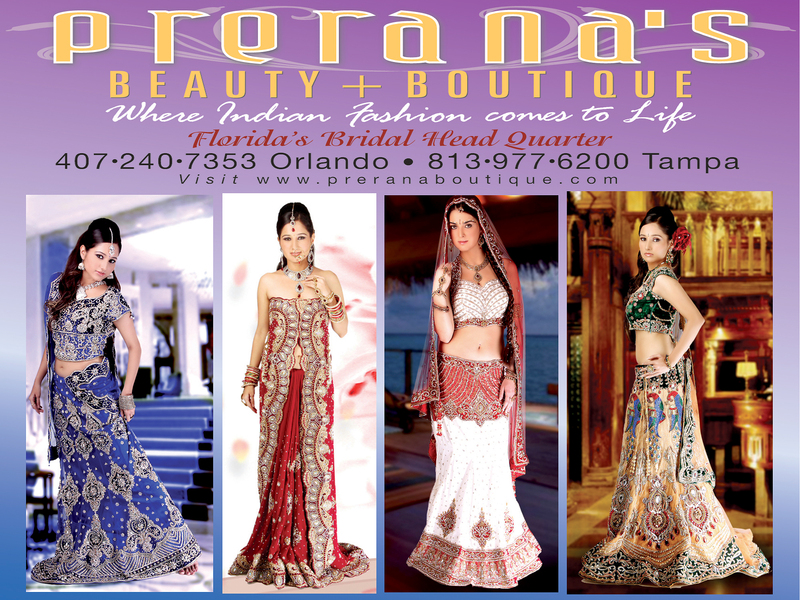 For information, call Dr. Meena Jain at (727) 480-6597 or Dr. Rakesh Mittal at (727) 409-7407. 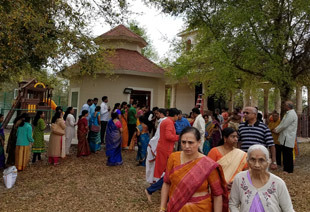 More than 1,000 devotees participated in a three-day ceremony recently at Shirdi Sai Florida Center (ShirdiUSA) in Inverness to celebrate the temple’s 12th anniversary and inaugurate a new Dattatreya Temple. The activities kicked off with Ganga Pooja and Ganapati Pooja, followed by Mahaganapati Lakha Modaka Homa. The next day started with Hanuman Abhishekam and Sarva Devata Homa. After Madhan Aarti, devotees held bhajan kirtan. Evening activities included Shanaischara TiladeepaYagna and Sri Dattatreya’s Adhivasa, a rite which invokes the deity to ‘live in’ the idol and thus transforms the idol into a murti. The finale on the third day started with devotees participating in several Homas in which devotees took part. Next, Sri Sadguru Sai Pratisthapana took place at the newly installed small temple by the Neem tree. After Sarva Devata Maha kumbha abhishekam, devotees carried the Kalasa for various deities to plate in appropriate temple place. After performing to a sold-out crowd in the Tampa Bay area in April, the Grammy Award winner will be heading south this month. 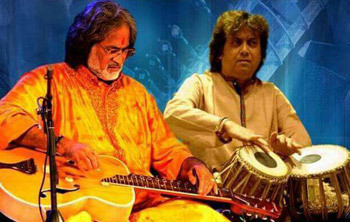 Indian classical music instrumentalist Pandit Vishwa Mohan Bhatt, who plays the Mohan Veena (slide guitar), will present “Divine Strings” concert on May 21 in Fort Lauderdale. He will once again be accompanied by renowned tabla maestro Pandit Subhen Chatterjee. 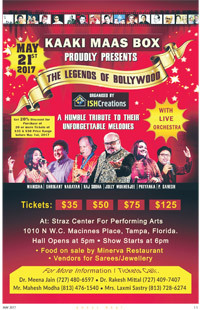 The Fort Lauderdale concert is presented by the Association of Performing Arts of India (APAI) and sponsored by The Kapila Family Foundation. A foremost disciple of Pandit Ravi Shankar, Vishwa Mohan belongs to an elite body of musicians, which traces its origin to the Moghul emperor Akbar's court musician Tansen. He has attracted international attention by his successful Indianisation of the Western Hawaiian guitar with his delightful assimilation of sitar, sarod and veena techniques. Giving it an evolutionary design and shape and adding 14 more strings helped him establish the instrument Mohan Veena. He is undoubtedly one of the most expressive and versatile slide players in the world. Chatterjee is an accomplished Indian percussionist and tabla maestro. He began his tabla training in childhood, studying with Swapan Choudhury. His album Artistry recorded live in Kansas City was nominated for a Grammy award in 2002. 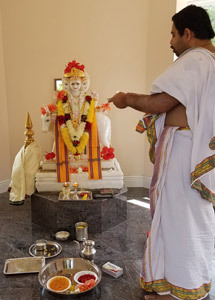 On April 15, the Telugu Association of Florida, Tampa Bay (TAFT) celebrated Ugadi festival, a new year day for Telugu people who follow lunar calendar. Telugu years carry a unique name for each year, which gets recycled every 60 years and this new year is called Hevalamba. About 2,000 people attended the celebrations at Florida State Fairgrounds in Tampa. On Ugadi day, typically people read the new year’s almanac – panchangam – to see what is stored to each person, nation and world. People also spend time listening to literary discussions, music, watching dances, skits, dramas, eating a special dish called Ugadi Pachadi, sumptuous meals, and meeting friends and relatives. Ugadi Pachadi is a mixture of six tastes – neem (bitter), raw mango (tangy), tamarind juice (sour), green chili/pepper (heat), jaggery and ripe banana pieces (sweet), pinch of salt, which symbolize life as a blend of different experiences (sorrow, joy, anger, fear, disgust, surprise) and its acceptance. The celebration began with prayer and the American national anthem. 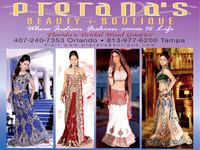 It was followed by dances, classical, folk, movie-based (Tollywood - named after Telugu film industry). 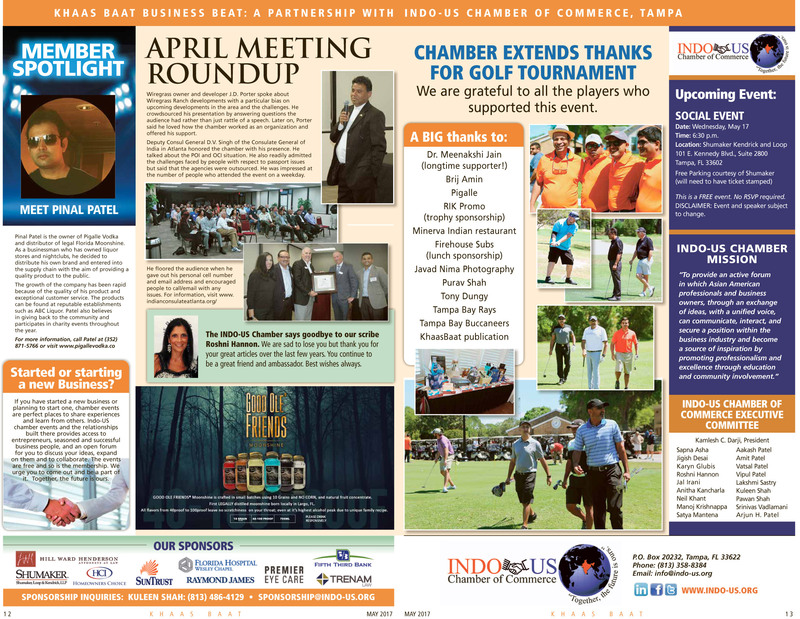 Sponsors were felicitated by TAFT President Neeraja Jasthi. Telugu Sahithi annual magazine with contributions from the creative writers and artists of Tampa Bay was also released. 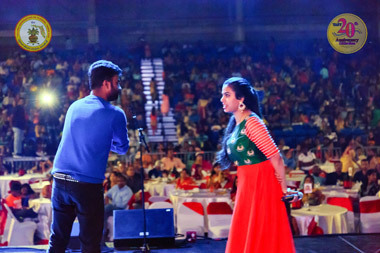 The program highlight was a concert of Tollywood movie songs by popular and young playback singers Hemachandra, Shravana Bhargavi from India, with live orchestra of Meher Chanti from Dallas. Also keeping the audience spellbound was mimicry artist Imitation Raj. The current Executive committee under President Neeraja Jasthi, Vice President Bhanu Prakash Dhulipalla, secretary Sreenivasa Kommineni, joint secretary Prahlad Madabhushi, and treasurer Mr. Gandhi Nidadavolu did great job in bringing this association to next level by increasing the resources and engagement from the community. New committee for 2017-2019 of newly elected President Bhanu Prakash Dhulipalla, VP Prahlad Madabhushi, Secretary Sujatha Neelam, joint secretary Gandhi Nidadavolu and treasurer Sree Reddy Kanuganti was introduced.